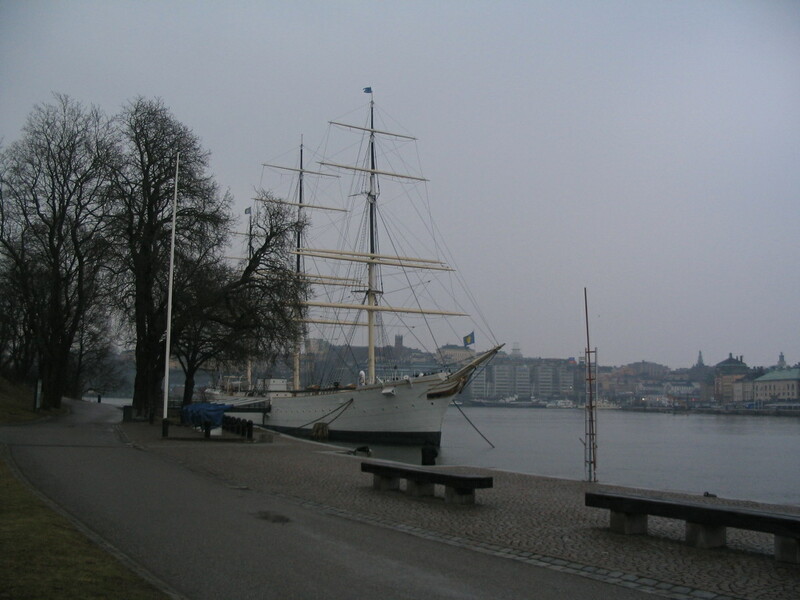 Our last destination in Stockholm was the combined Museum of Modern Art and architecture museum, on the small isle of Skeppsholmen. 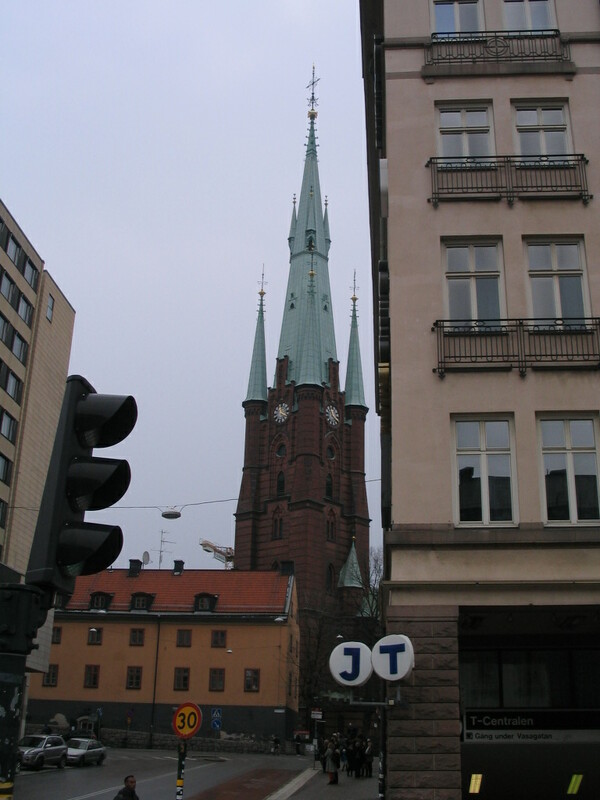 Klara Kyrkan from another angle. 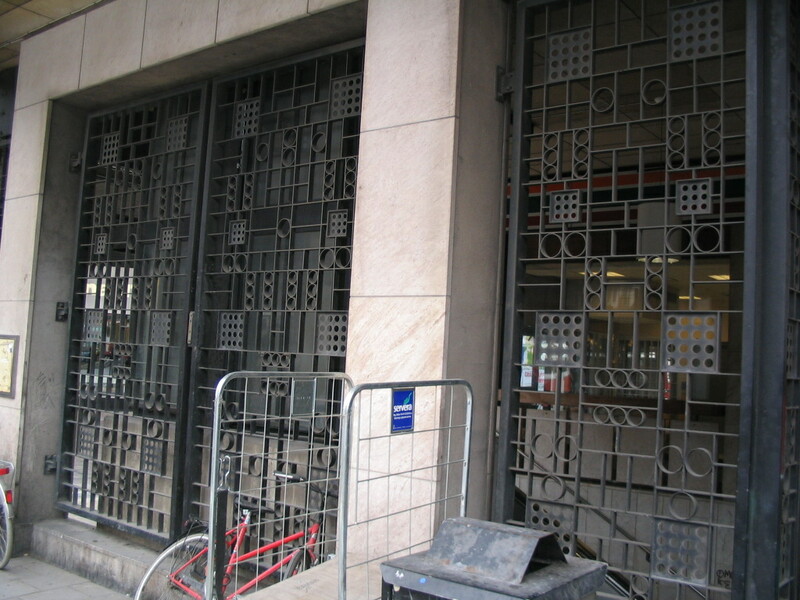 Some doors that are pretty cool. 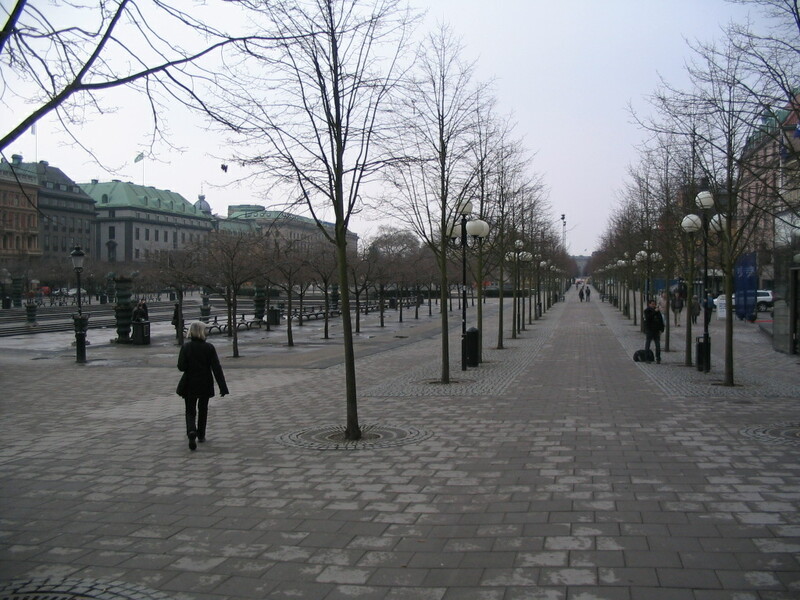 Kungsträdgården (the King's Garden), a little bit pre-season. 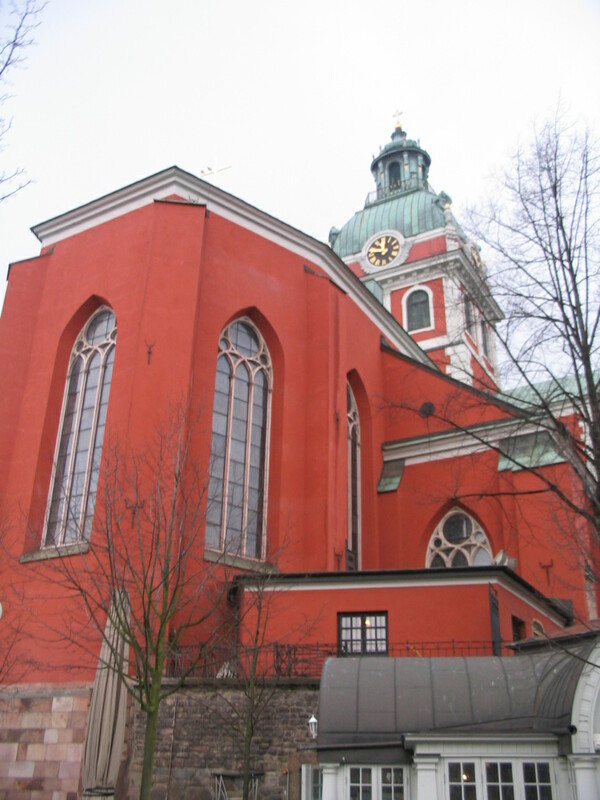 Jakobs Kyrka: the reddest church. We passed by this group of runners; or, should I say, they passed by us. Some ol' dinghy. 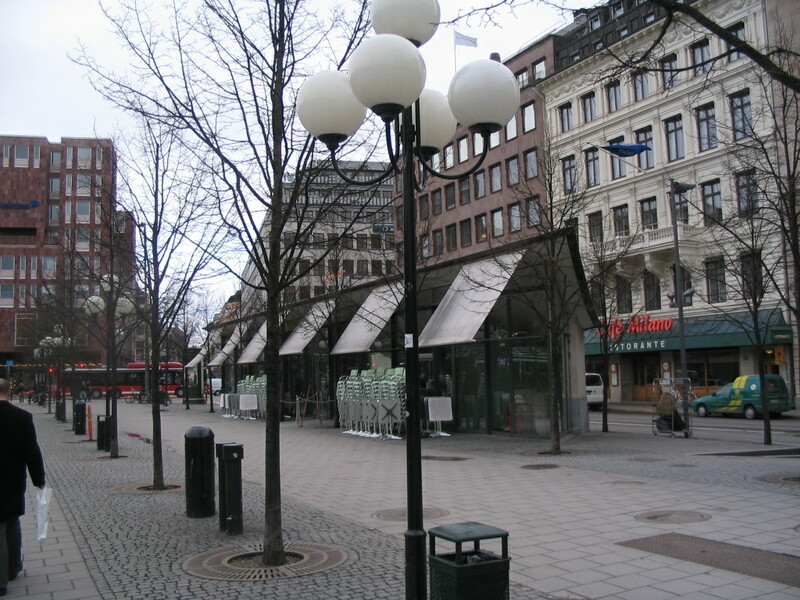 This is just across the bridge onto Skeppsholmen. 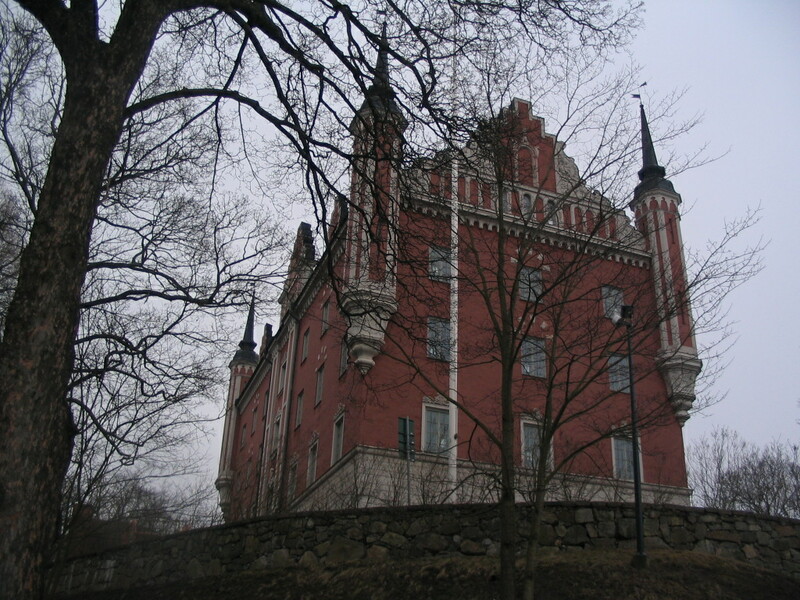 The rather imposing Amiralitetshuset (the Admiralty House), which now houses the Swedish Tourist Association. 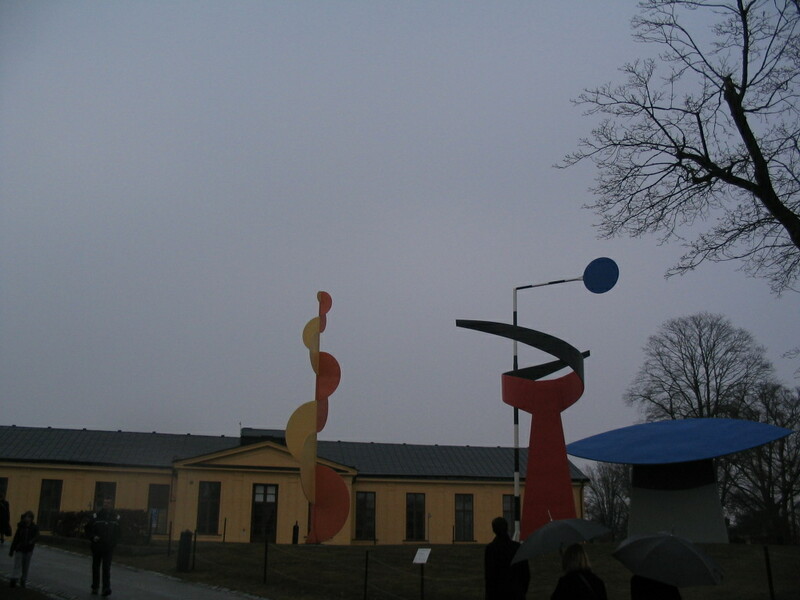 Calder sculptures outside the museum. 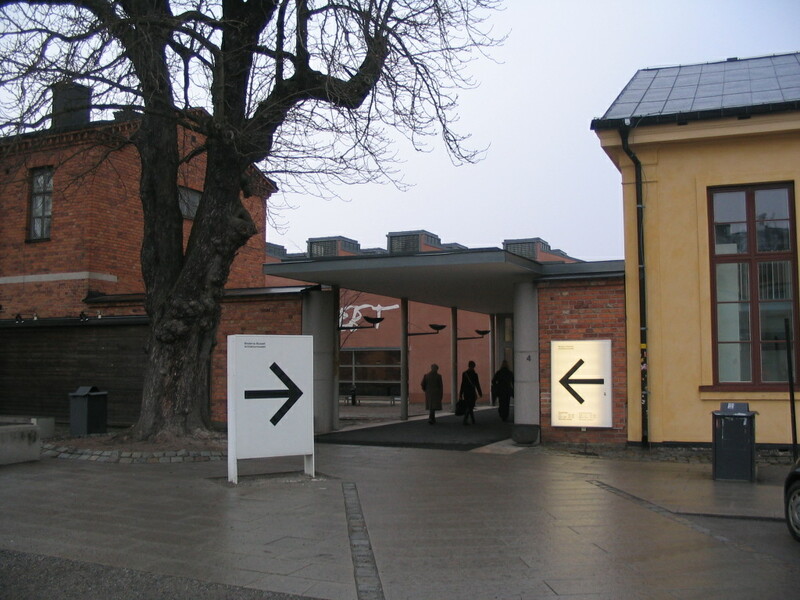 The entrance is this way! No, that way. Both. 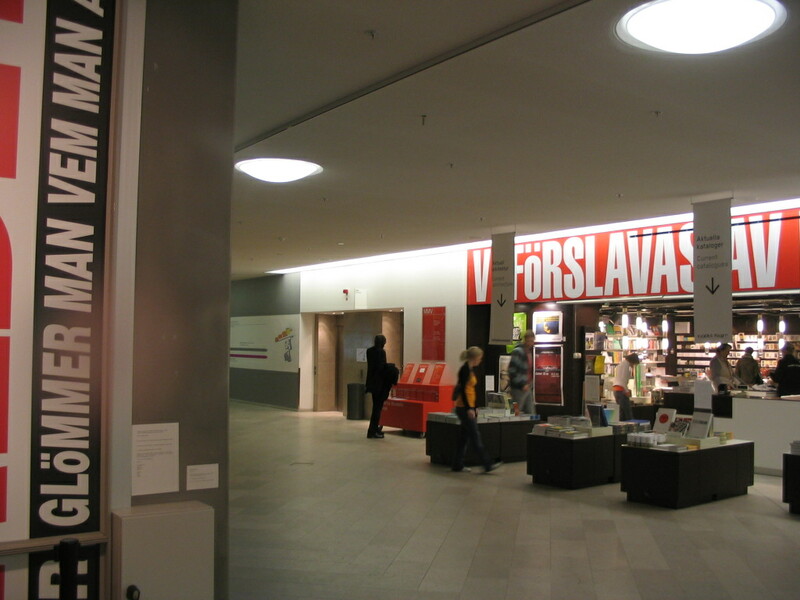 I didn't take any pictures of the contents of the museum, because that's not a thing you do. 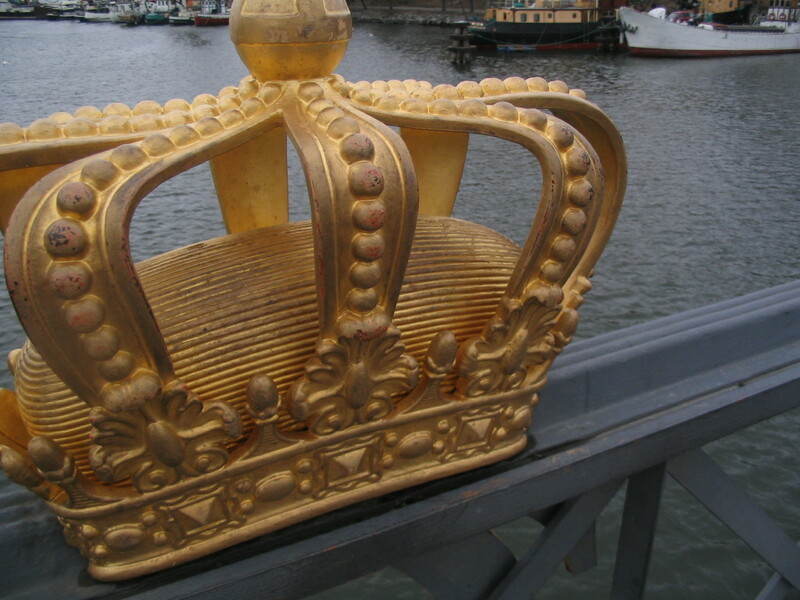 This is a quick walking snap of one of the crowns on the bridge from Skeppsholmen. 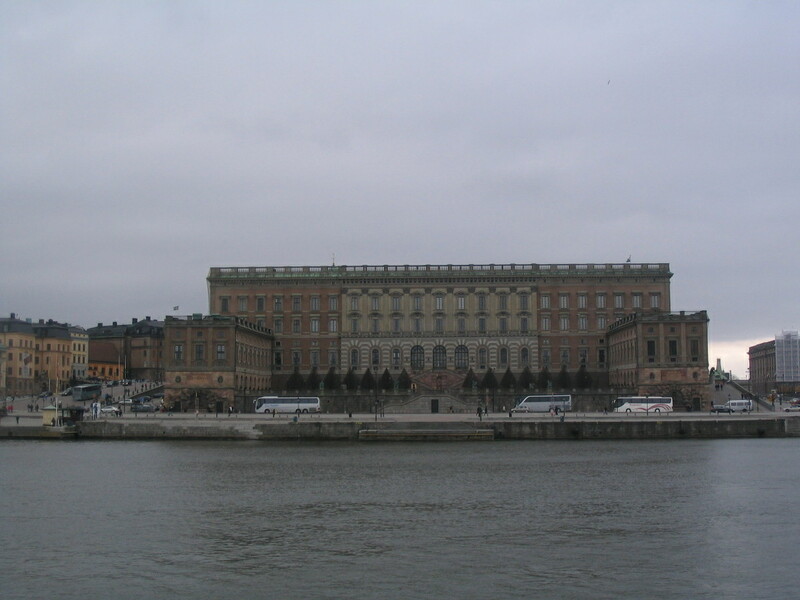 Across the water: Kungliga Slottet. 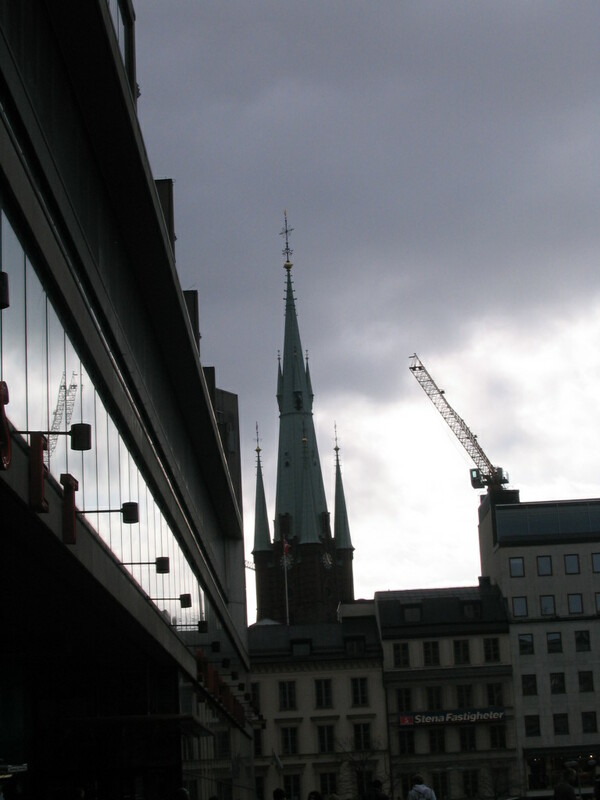 Oh look, it's Klara Kyrkan.